Stunning Orangery Designed For Reading Family By The Abbey Windows Double Glazing Team. Abbey Windows have recently completed an Orangery installation with Origin Bi-Fold Doors for a family in Reading and the results are spectacular. Our customers wanted to create more space towards the back of their property and to open up their living area. They also wanted to make full use of their garden in the summer months. We guided the family through our Orangery designs and came up with the perfect solution for their Caversham home. Orangeries are the grand 17th century predecessors to the modern conservatory and were typically expressions of wealth and status for the elite (those who could afford to keep citrus trees). 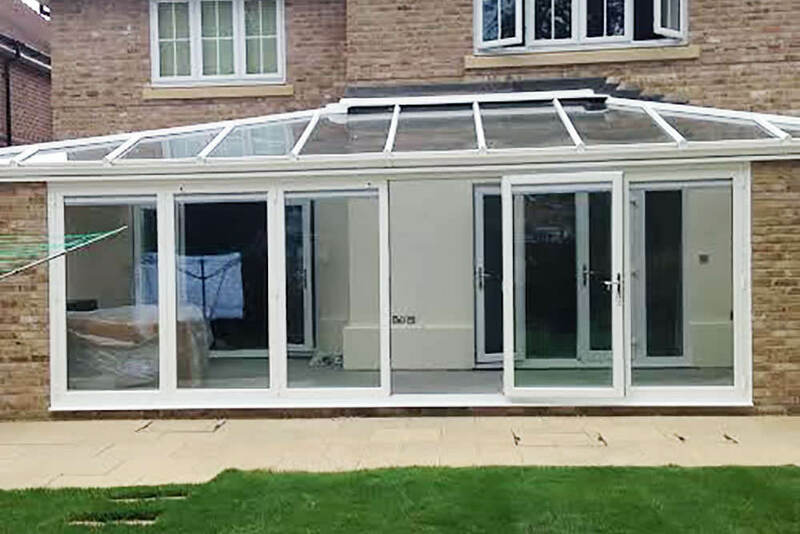 The primary difference between an Orangery and Conservatory is that an orangeries are primarily made up of brick in keeping with the brickwork of the house or building it is built onto. Providing better insulation from the elements. Today, Orangeries exude the same air of luxury and elegance as their stately ancestors. They make for exceptional sunrooms for relaxing or entertaining guests. 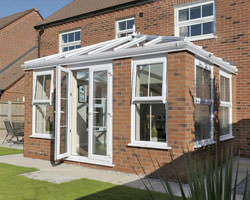 Orangeries are a truly valuable addition to your Reading home. We created the ideal Orangery to complement the Caversham home. A contemporary design allowing for the maximum amount of light to enter the home whilst still maintaining privacy. Origin’s Aluminium Bi-Fold Doors open out onto the garden patio giving the family complete versatility. These revolutionary aluminium doors break down the barrier between home and garden inviting the outdoors into their Reading property. When the aluminium bi-folding doors are open, the body of the Orangery leads seamlessly out onto the garden bringing fresh air, space and light into the living space. When closed, the aluminium bi-fold doors offer the highest security with a Yale Shootbolt locking system, an anti-lift catch and tamper-proof aluminium hinges. Our aluminium bi fold doors also boast a 20-year manufacturer’s guarantee directly with Origin! We designed a bespoke glass roof for the Orangery which sits flawlessly against the L-shaped structure of the Reading home. The family opted for a flat roof around the perimeter of the Orangery in keeping with the lines of the house. The Orangery Roof was created using a high-quality, structural grade aluminium profile. We then capped and cladded the Orangery with low maintenance thermal uPVC capping board fascias and claddings. The ideal finishing for a maintenance free Orangery. Orangery extensions are becoming ever more popular and it’s no wonder. There are endless benefits to Orangeries. They are visually striking yet entirely practical and energy efficient. Beautiful glass rooms that you can use all year round! This happy family in Reading finds that in the summer, it’s great to open up their new Origin Bi-Fold Doors and use the garden as an extra addition to the living space. Whereas, in the winter, it becomes a homely and cosy den. This new room adds a further dimension to their Reading property and provides a seamless link between their home and the garden. Interested in investing in an Orangery for your home? 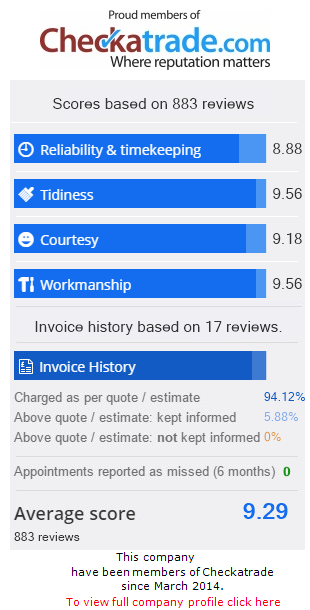 Get in contact with our friendly team here at Abbey Windows for competitive Orangery prices today!